Katy Perry? Noo. Katy Puppy, Si! Nothing makes many women feel more special and pampered than getting their hair done. O-kay, after diamonds that is. 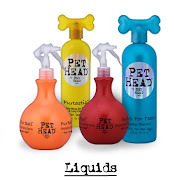 The Posh Puppy Boutique can help your dog have a hair style closer to your own, even when that hair is not their own. How? With our selection of wigs from eighth generation wig maker Ruth Regina. For example, the dog that has almost everything might look very cute with a Doll Face Dog Wig ($58). Designed just for dogs, it comes in blonde or pink for small and large dogs, plus blue for medium-size pooches. Regina’s creations have appeared on such celebrities as Kate Moss, Naomi Campbell, Heidi Klum, Jennifer Lopez, Marisa Tomei and others. Each wig is easy to clean in cool or lukewarm water, then brushable when completely dry. Our Joe the Bartender Wig is just for dogs. In addition to the Doll Face Dog Wig, an other popular pet wig is the brown Joe the Bartender Dog Wig ($75) for dogs 15 pounds and larger only. The Marley Dog Wig ($85) is available in sizes from medium to extra large. It comes in brown dreadlocks only. We also sell the Spike Dog Wig ($60) for medium and large dogs. Girl dogs will look simply fabulous in our Penny Dog Wig ($60) for large dogs. It comes in blonde, blue, pink and hi-lites. For that frilly look, consider the Shirley Temple Dog Wig ($60) in small, medium or large sizes. It comes in blonde, blue and pink. Give your favorite little girl that staple of young women everywhere—braids—with our Yappy Hour With Buddy Blonde Braids Dog Wig ($55). This wig is designed for smaller dogs only. We also sell feather hair extensions in a wide range of colors. These Pet Feather Hair Extensions ($25) are a blend of five bright feathers about 3-5 inches long and designed especially for pets. They include a micro link clamp to connect them to your dog’s natural hair. Color options include black, pink, purple, rainbow, turquoise and natural. And by the way, we also sell dog collars with diamonds. For the crown jewel of collars, consider our La Juene Tulipe Diamond Dog Collar featuring a 1.52 carat marquise cut diamond surrounded by smaller stones. The price? A cool $150,000. 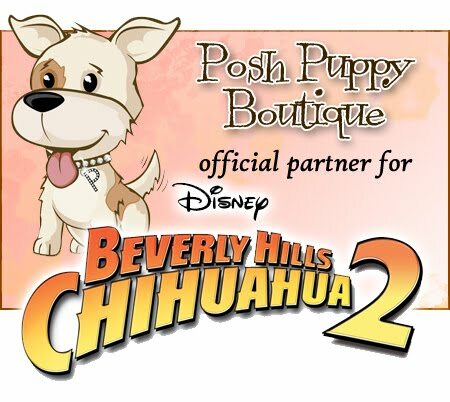 These and thousands of other fashionable and functional pet products are available in one place: the Posh Puppy Boutique. Call us at 888-837-5230 with any questions. Stay updated on all the latest pet fashion action and Posh Puppy Boutique Photo Contest by following us on Facebook and Twitter.